Speaker Karu Jayasuriya yesterday warned Kurunegala district UNP Parliamentarian Nalin Bandara Jayamaha not to disturb proceedings. The Speaker also warned Jayamaha that he would name him if he did not return to his seat. Speaker Jayasuriya warned when Jayamaha was engrossed in a crosstalk with Chief Opposition Whip and JVP Parliamentarian Anura Kumara Dissanayake yesterday while Development Strategies and International Trade Minister Malik Samarawickrama was on his feet to respond to a special statement by opposition member Douglas Devananda under standing order 23(2). 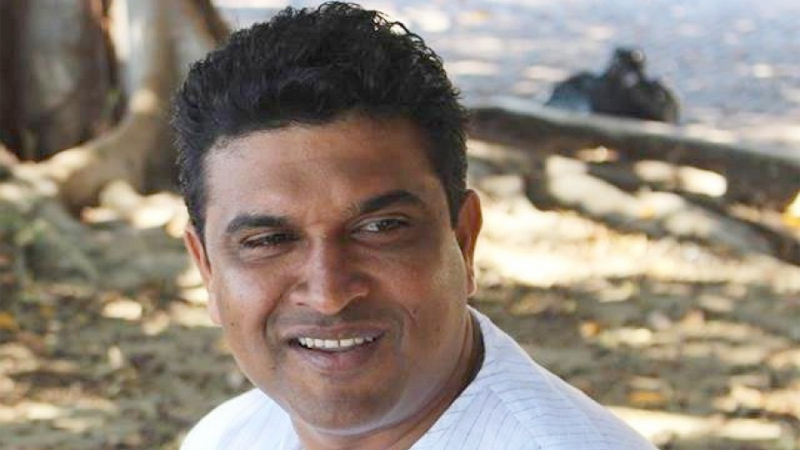 The crosstalk erupted following Finance Minister Ravi Karunanayake made his reply speech to Dissanayake’s special statement he made on Thursday in relation to the government’s decision to provide vehicles to 58 government MPs on lease. Dissanayake questioned as to why such an amount of money is spent on the vehicles for government side members. At this stage Jayamaha stood and attempted to reply him. This initiated a crosstalk but nothing was audible since only the mike of Minister Samarawickrama was on, as he was on his feet. As the crosstalk led to a heated argument, Speaker Jayasuriya ordered Jayamaha to return to his seat. However, the argument continued and the Speaker observed that he would name Jayamaha if he failed to return. Jayamaha returned to his seat and Minister Samarawickrama commenced his statement.